The Eye On Palestine Collective would like to express its full endorsement for the decision of the ULB - Université libre de Bruxelles to grant a Doctor Honoris Causa to Kenneth (Ken) Loach. Loach is first and foremost a film director with an impeccable trajectory, one of the most politically consistent, engaged and solid film directors in the short history of cinema. It is with his films and irreverent style against the status quo, often in spite of political censorship, that we have learned so much about those individual and collective stories of struggle and solidarity hidden and often erased from noisy and canonised histories and contemporary political discourse. With his films and his ability to capture the complexities of thorny issues, we have cried and laugh while furthering our understanding about the ongoing fight of the working classes against capitalism, imprisonment, militarisation and imperial wars. And we have also learned about international forms of solidarity against fascism, authoritarianism and settler colonialism as well as stories of courageous migrants up in arms against their criminalisation. It is for this tremendous and important work, so relevant in this critical political moment, that Ken Loach deserves recognition. The ongoing smear campaign against Ken Loach, based on false accusations of anti-Semitism, and against the ULB, for standing by its decision to grant Loach a Doctor Honoris Causa, is shameful although not surprising. Ken Loach, besides being a committed filmmaker, is also an outspoken critic of Israel's criminal and illegal policies against Palestinians. He endorses the Boycott, Divestment and Sanctions (BDS) Movement, a Palestinian civil society led initiative and a non-violent strategy to pressure Israel into ending settler colonialism, occupation and apartheid. The strategy of delegitimising critical inquiries of Israeli policies by falsely labelling them as anti-Semitic is not new. Yet, since the recent proposal by the International Holocaust Remembrance Alliance to adopt a new working definition of anti-Semitism, which includes targeting the State of Israel for its racist policies, this strategy has become even more rampant, as we are witnessing nowadays in the United Kingdom, France, Germany and, now also in Belgium. The strategy of 'weaponizing' anti-Semitism against those who are critical about Israeli state policies maliciously confuses anti-Semitism with anti-Zionism. As such, it does great disservice to the real and existing struggle against anti-Semitism and racism. Our collective decries any form of racism and discrimination, including anti-Semitism, Islamophobia, sexism, homophobia, transphobia, ableism, and we support and stands in solidarity with recent calls by Union des Progressistes Juifs de Belgique - UPJB as well as other Jewish and non-Jewish scholars, intellectuals, activists, individuals and civil society organisations that have firmly condemned this witch-hunt against Ken Loach. 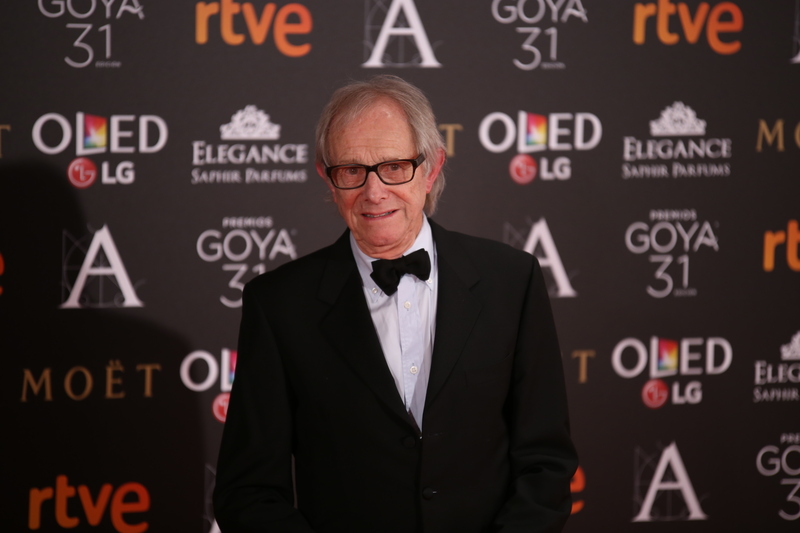 We would like to take this chance to congratulate Ken Loach and we look forward to seeing more Doctor Honoris Causa in Belgium that match the moral statue and political commitment of this filmmaker.